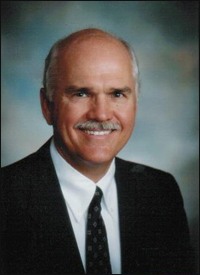 Dr. Roger D. Clay was born and raised in Beckley, West Virginia. In 1978 he received his dental degree from West Virginia University School of Dentistry where he was distinguished as an honor graduate. He is an alumnus and associate member of Omicron Kappa Epsilon Honor Dental Society. He is a graduate of the General Practice Residency at Eisenhower Medical Center in Augusta, Georgia. Dr. Clay is a retired Lieutenant Colonel from the U.S. Air Force Reserve, having served four years as an active duty pilot and four years as an active duty dentist. Prior to coming to Vero Beach, Dr. Clay established a solo private practice in his home town of Beckley, West Virginia where he practiced for 20 years. In April 2002 Dr. Clay completed his Florida Dental Boards. He opened a state-of-the-art dental practice in the Bridgewater Building 'A' on Indian River Boulevard in Vero Beach. Through continuing education, state-of-the-art equipment and a well-trained, caring, conscientious staff, Dr. Clay's goal is to restore your dental health and assist you in maintaining a healthy smile for a lifetime.